● Battery clips with 2m extension wire, easy and convenient for operation. 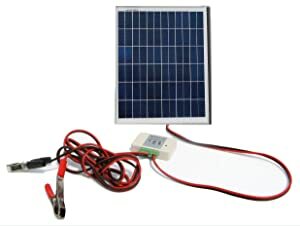 Comes with 1 pair 30A Battery Clips with 6.5 feet Extension Solar Cable. Perfect for charging 12V battery and DC load. 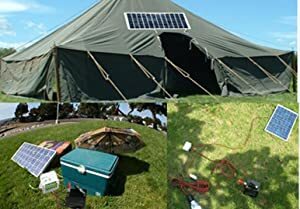 Easy to carry for camping or other outdoor activities. Power-up one or two at a time. It’s great for students and hobby on budget. 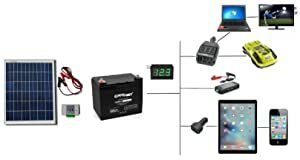 Pls make sure your battery voltage is higher than 10.8 volts before connecting to the charge controller, and the safe charging voltage of battery is below 13.86 volts)​. 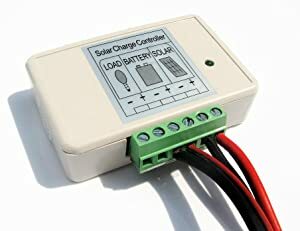 For up-grading for bigger or stacking solar panels, you must get one heavy duty charge controller 10 Amp or 30 Amp. 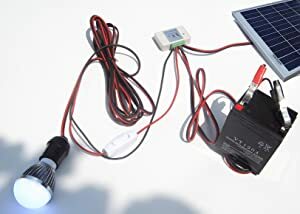 Perfect for running your battery and DC devices: fan, linear actuator for a portable chicken coop, LED light etc. 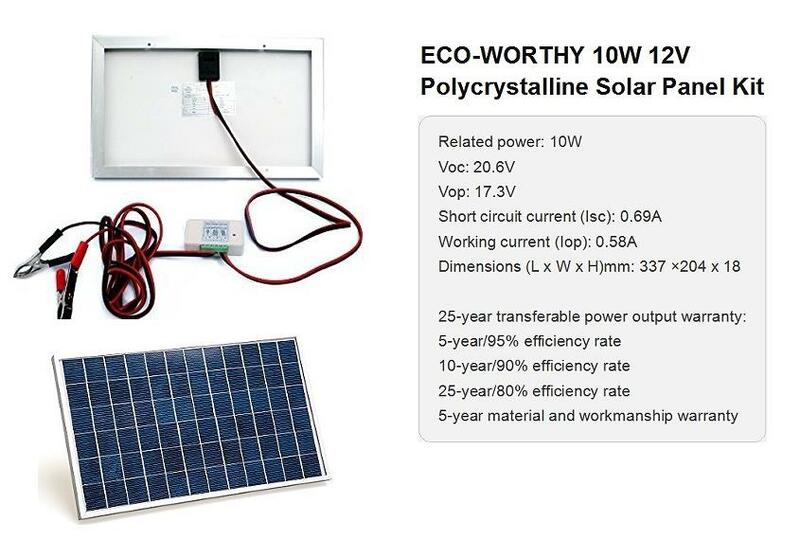 If you want the solar kit to run AC load, pls hook up one off grid inverter. Easy to carry for camping.